It's Time to Rediscover Europe! Welcome to the spring edition of Ensemble Vacations. 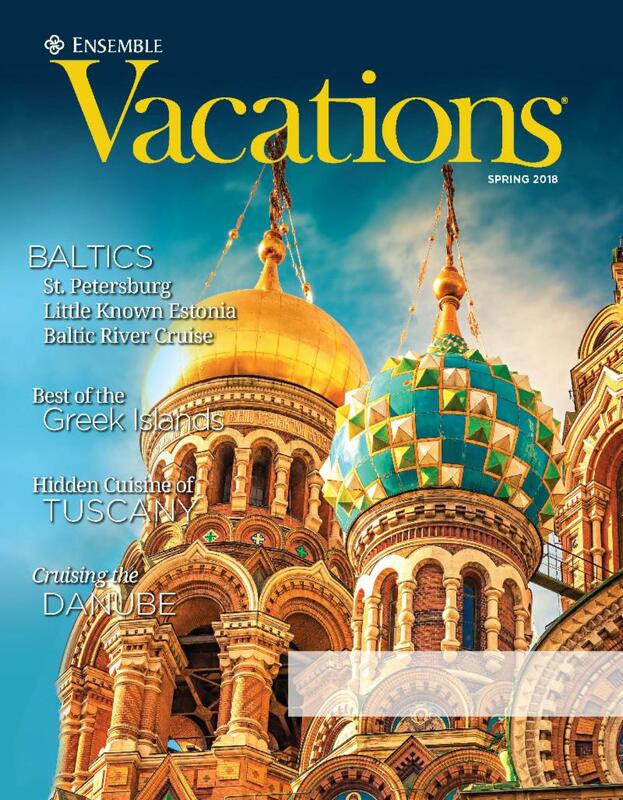 In this magazine, you’ll find pages of inspiration for European destinations, including some tried-and-true favourites, like Italy and France; other emerging destinations, such as Croatia; and some that are a little more off-the-beaten path on the Baltic Sea. Each country has its own unique culture, cuisine and history. And while sometimes it’s good to slow down and really take your time to enjoy a new destination, part of the allure of Europe is that you can see so much in a short time. In Europe, it’s easy to travel widely, whether its by guided coach tours, riding the rails (as one of our writers did across Spain) or on a cruise. Recently, I was fortunate enough to take my first cruise ever along the Rhine River with Avalon Waterways. For eight days, we sailed from the Netherlands to Germany, stopping at a new port each day – no two ports were the same. One day an excursion had me on a small boat travelling through Amsterdam’s famous canals, and the next, I was walking through the streets of Munich where building architecture alone tells the tale of the destruction of war and post-war renewal. It made for an exciting trip; every day an adventure. I hope this magazine gives you new travel ideas; there’s something in here for everyone. When you are ready, our travel agents can help you plan your European dream trip.